My name is Jonathan Yergler and I’ve been fencing competitively for over 15 years. I started at a local rec center in Central Florida (hardly a fencing mecca) and have been in love with the sport ever since. I’ve done everything I could with the resources available to me to make myself a better fencer and I’ve learned a ton along the way. I’ve switched coaches multiple times, I’ve met and trained with fencers from all over the world, and I’ve always been hungry for new ways to push myself to the next level of competitive fencing. It’s taken a lot of dedication to get where I am today but also a whole lot of luck and a lot of support from my family and friends I’ve made on my journey. I’ve made 2 Junior and a Cadet World Championship teams (2008, 2010), 2 Senior Pan American Game teams (2008, 2014) and a World University Games Team (2013). I was recruited to Princeton University where I was a 4-time NCAA All-American, making the individual Championship match 3 times and coming away with the individual epee title in 2012. I was also the team captain of Princeton’s NCAA Champion team in 2013. Next I moved to New York City and joined the NY Athletic Club where I’ve been able to train more frequently and against higher level competition than ever before. I’ve taken responsibility for building my own training plans consulting with the fencing guru, Mario Jelev. Every step I’ve taken has been to optimize my training to make myself a better fencer in every way I can think of. I’m still working on pushing myself to the next level of success in the sport. I believe I can make the 2016 Olympic team, but I know I have a long way to go to get there. 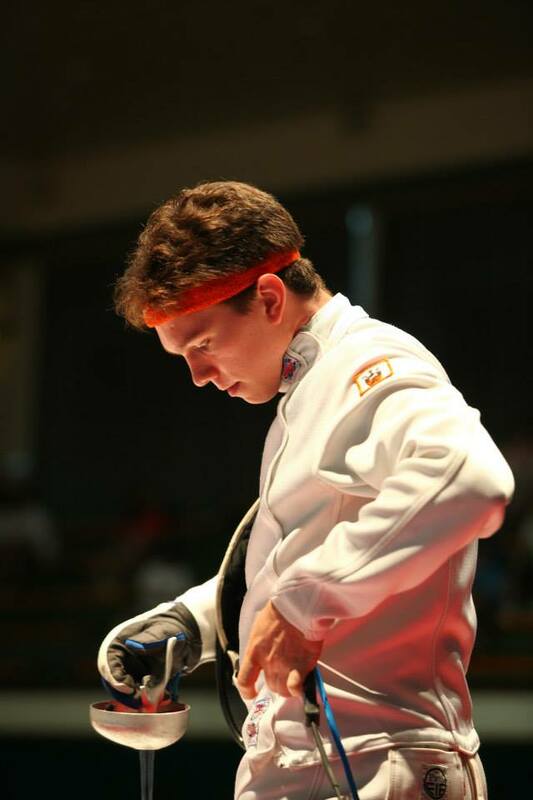 If you want to help support Jonathan, click here to like his Facebook Page , Jonathan Yergler – The Fencing Athlete, and here to follow his Twitter handle @yerglerj. Or you can follow him on Instagram @yerglerj.